my Switch friend code: SW-7893-6421-8896 – Did You Win Yet? 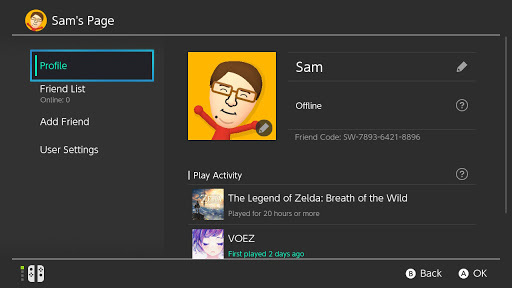 Nintendo is still using Friend Codes? They really don't get online connectivity, still. All they need to do is copy Steam or XBL wholesale, and everyone would be happy.